Ok here are some interesting School Holiday ‘POW WOW’ in the ultimate showdown with the Teenage Mutant Ninja Turtles 2: Out of The Shadows. 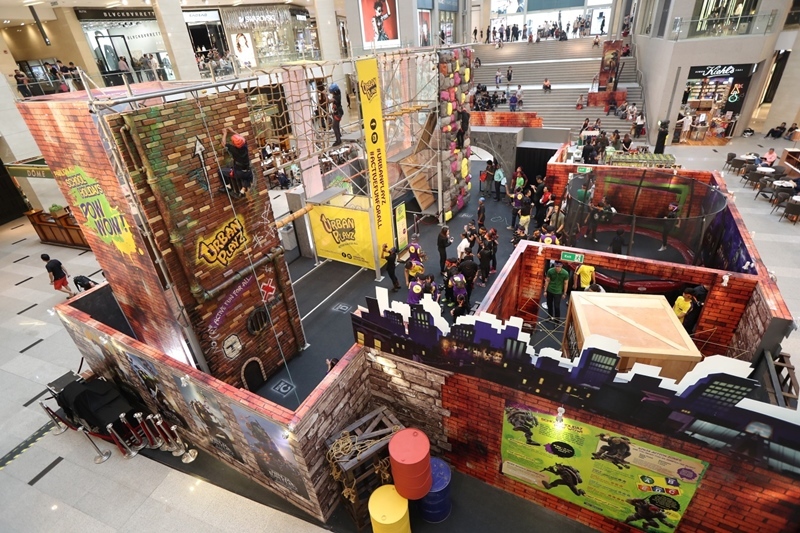 Come and experience the Ninja Action Zones at the Centre Court Level 2, Pavilion KL. Where younf fans get to rumble and tumble like the Ninja Turtles through the different zones such as the Turtle Power Trampoline, the String Laser Maze, the NYC Brick Wall, the High Rope Obstacles and the Epic Rock Wall. For the first time ever in Malaysia, stand face-to-face with a life-sized statue display of Leonardo, Raphael, Donatello and Michelangelo, direct from New York City. 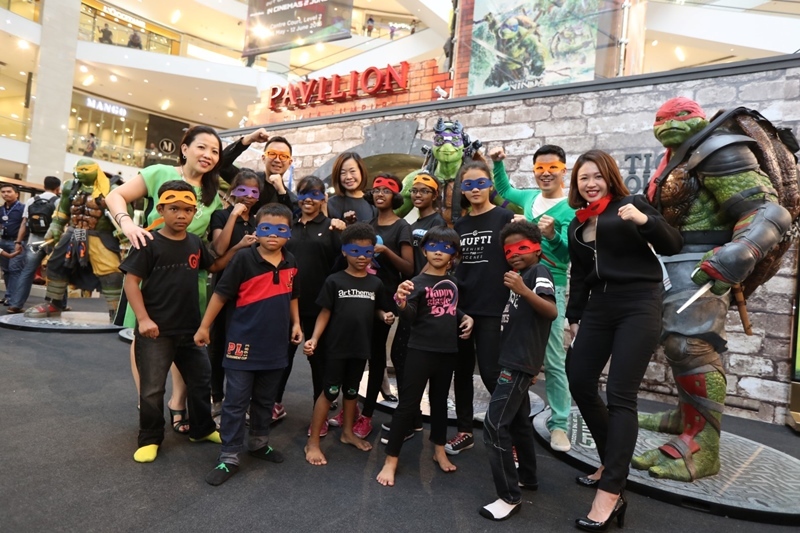 You can explore your inner mutant ninja from today until 12th June 2016 at Pavilion KL which is in conjunction with the release of the highly anticipated action-adventure sequel Teenage Mutant Ninja Turtles 2: Out Of The Shadows on 2nd June 2016. 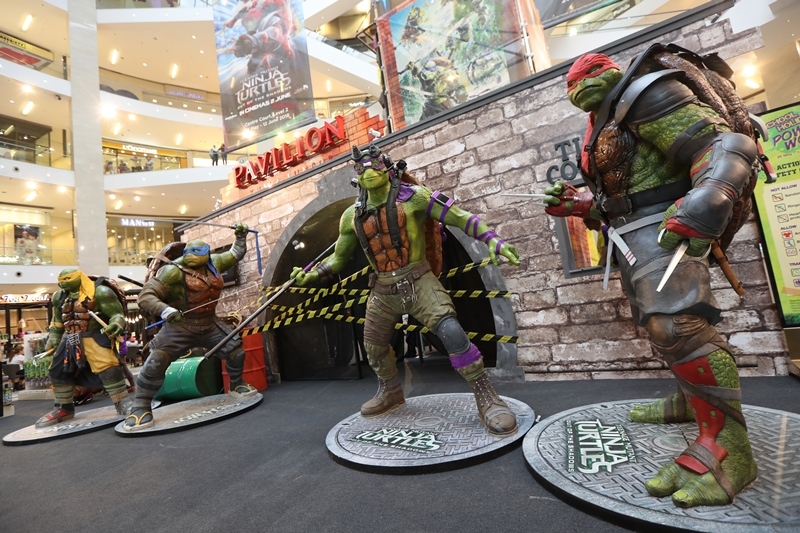 Posters and standees showcasing the Teenage Mutant Ninja Turtles’ ‘untold story through the years’ are also on display, together with specially-curated collectibles. Receive a free Ninja Action Zone Ticket with RM300 spent in a single receipt at specialty stores. Redemption at Porte Cochere Concierge, level 2. Valid for first 50 redemptions per day from Monday – Thursday and first 100 redemptions per day from Friday – Sunday. Maximum of one redemption per shopper daily. Limited to one redemption per receipt regardless of receipt amount. While stocks last. Other terms & conditions apply. 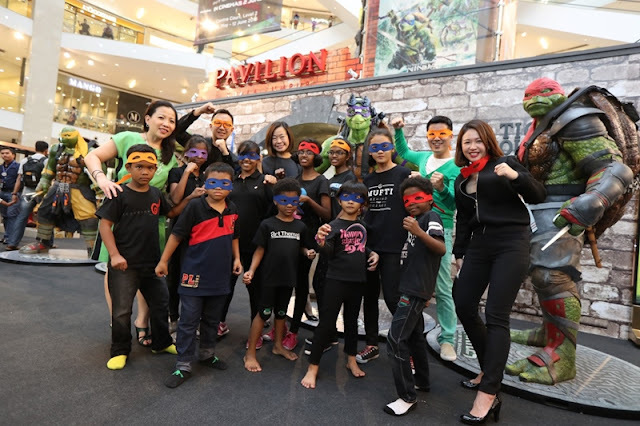 Lighthouse Children Welfare Home Association was invited by the mall to be the first ones to enjoy the Ninja Action Zones. 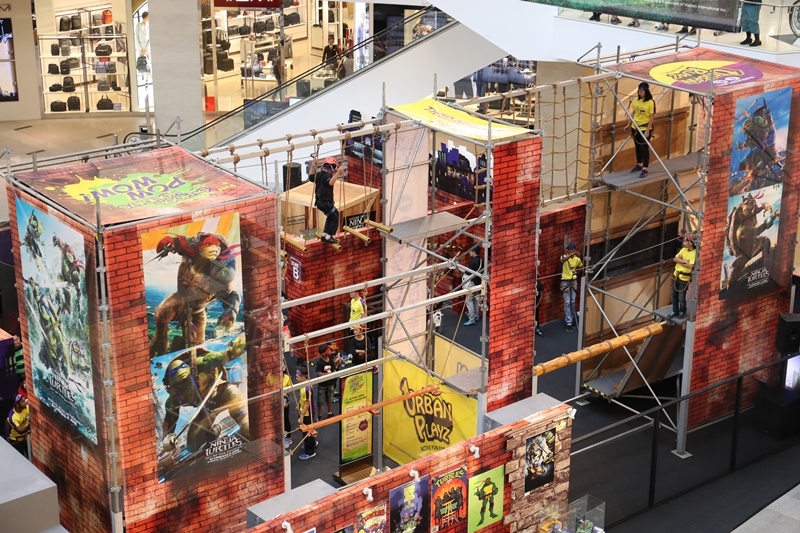 You also can also get their hands on limited edition merchandises at the Teenage Mutant Ninja Turtles pop-up store. For more information about Ninja Action Zones! Teenage Mutant Ninja Turtles 2 Out of The Shadows @ Pavilion KL, please visit Pavilion KL Website and Facebook Page or contact Pavilion KL’s Concierge at 03-2118 8833.